Nice looking bench. Also, it looks comfortable too. What kind of finish did (will) you put on it? I’m guessing red oak will be a challenge to protect in the outdoors. It’s a nice addition to any patio. Welcome to Lumberjocks. Nice looking bench, and a big welcome to Lumberjocks. Nice Bench! You using Your Phone to take the Pictures in these Three Posts? 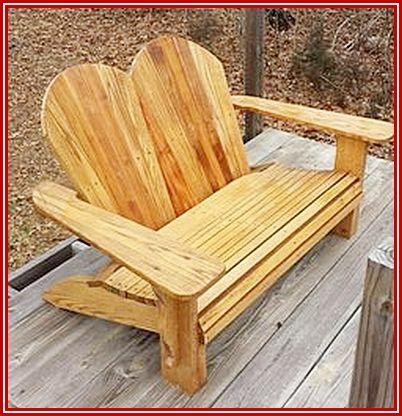 Beautiful outdoor chair, great design on the two seater. Looks comfy and sturdy. Great job!